Vitali Klitschko was born on July 19, 1971. It was a far different historical era. His native Ukraine was still a part of the Soviet Union. And the Soviet Union was locked in a perilous Cold War with the United States and the rest of the West. It would have seemed unlikely that he would some day headline boxing cards in California, Las Vegas and New York City, or become a superstar attraction in cities like Hamburg, Munich and Cologne. The oldest son of a Soviet military officer, he developed into a giant human being with frightening athletic ability. He was initially a kickboxing standout, competing with great success at the international level. But by the mid-1990s, he had switched his focus to the boxing ring. He turned professional in 1996 and won his first 27 fights by stoppage. He captured the WBO heavyweight strap from Herbie Hide in 1999. That was not a title of any real worth and Klitschko dropped it to Chris Byrd in 2000 when he retired in his corner with an injured shoulder, following Round 9. That would earn Klitschko a reputation with American fans. But it is a reputation he largely jettisoned after facing Lennox Lewis in June 2001. 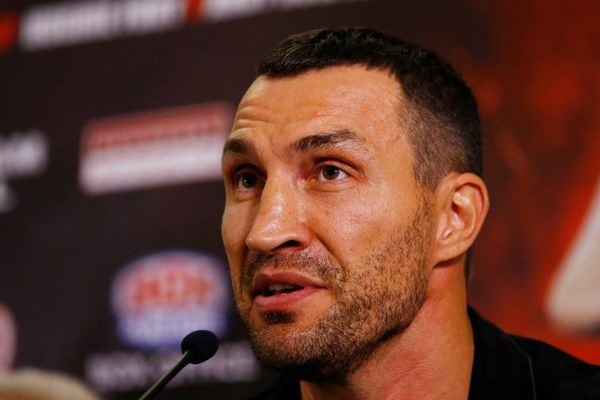 In that fight, Klitschko would earn his second and final professional loss. Yet in defeat, he would also earn his reputation as a true warrior. Facing an aging legend, Klitchko took the fight to Lewis and was ahead on all three cards when he lost on cuts following Round 6. Lewis left a lot of money on the table when he retired rather than pursuing a rematch. Along with his younger brother, Wladimir, Vitali Klitschko would dominate the heavyweight division for most of this current century. Like his brother, he has failed to generate the respect he probably deserves in the United States. But he has also ruled over a sub-par era. He did not defeat a single Hall of Famer, aside from possibly Tomasz Adamek, who will only make it in for his work at light heavyweight and cruiserweight. Still, at 6’7″ and 250 pounds, he would have been a difficult matchup for many other great heavyweights from other eras.